Robert Nesta Marley, known as Bob Marley, was born on the 6th of February 1945. He was a Jamaican songwriter and singer and is known for popularizing Reggae Music. Initially, he sang with the Wailers but later produced and released his solo tracks. His musical group changed their name many times, but Marley along with other collaborators of his music like Bunny Wailer and Peter Tosh decided to name the group in the year 1963 as – The Wailers. This band began on a humble note and released multiple top hit songs. Some of these songs are the earliest reggae music to be recorded by Lee Perry (Scratch) of Upsetters. The Wailers first album “The Wailing Wailers” also received worldwide popularity. With the changes line up and instrumentals during the early 70s and late 60s, Bob was able to record seven albums with his band. In 1974, the group members went to their separate ways, and Marley began his solo career. After the disbandment, Marley changed to the band and made himself the songwriter, lead singer, and the rhythm guitarist. He brought in new members such as the Carlton Barret brothers (drummers), Aston Barret was on Bass, Junior Marvin and AI Anderson played the guitar, Tyrone Downie and Earl Mowatt were on the keyboard and Alvin Patterson on the percussion. With the merger of the new band, The Wailers and Bob Marley, the most popular album; “Exodus” was released in 1977. The album gave him international recognition and propelled young Marley to sell over 75 million records. For a 56 week stretch, Exodus stayed on the charts. 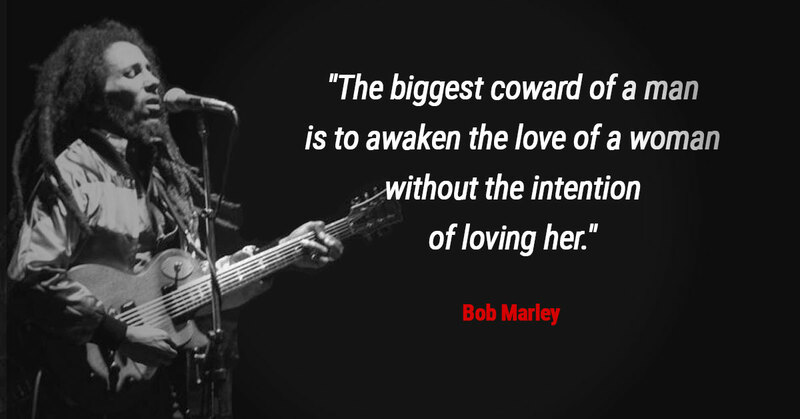 It included four famous songs from Marley such as Waiting In Vain, One Love, Exodus and Jamming. These songs were a good representation of Bob Marley sound. The sound was not only about smooth vocals and reggae beats but also a proponent of Rastafari, legalization of marijuana and pan-Africanism. Bob Marley got inducted to the Rock and Roll Hall of Fame during 1994. In 1999, the Exodus album was dubbed the Album of the Century by the Time Magazine also his song “One Love” was named the Track of the millennium by BBC. In 2001, he was awarded The Grammy Lifetime Achievement Award. Bob Marley songs incorporated religion and politics, and some of them gave him worldwide popularity as a figure of pop-culture. Unfortunately, Bob had skin cancer that caused his demise on 11th May 1981 at the young age of 36 years. Although he died young, he still left behind an extensive discography of popular global music, a family of musicians who carry on the reggae culture and a legacy filled with wisdom that is brought to you through the quotes and song lyrics from Marley’s library. Reggae Month in the News!